Fun with Artist Trading Cards! Hello again! Things have been crazy as always and I've neglected my poor blog. Just wanted to share a little ATC project with you today. These were made for a swap in Fancy Paper Crafters. 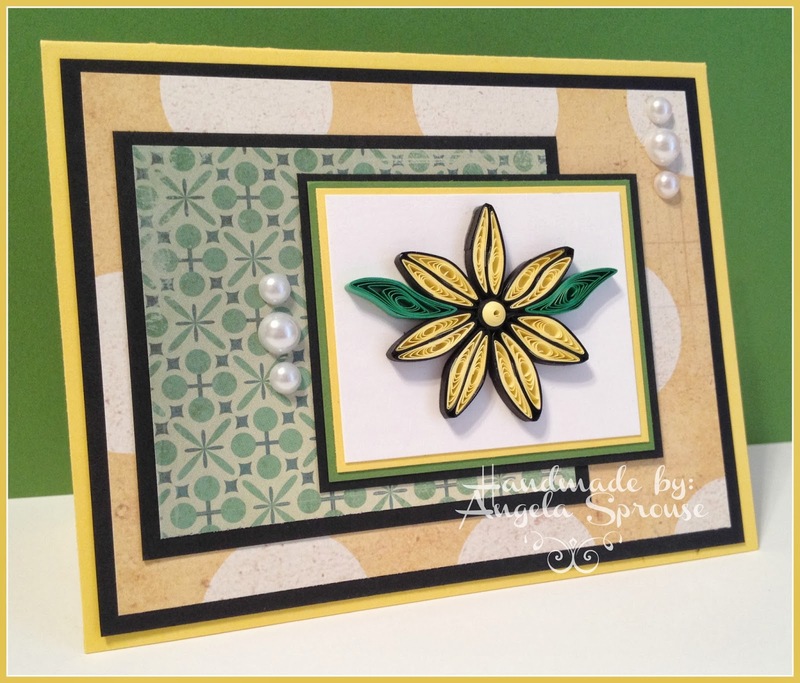 The swap theme was Spring ATCs. I love all the flowers and butterflies that come out in spring so naturally, this is what I was going to do for my ATC. With the designer paper that I chose, I had so many color options! I looked through my cardstock to see what I had in my stash (I'm on a mission to use my stash rather buy anything!) that would match and came up with this coral/pinky color. I used a Stampin Up punch for the butterfly. The flower center is a simple jeweled brad by Recollections. The jewels on the butterfly are by Nicole's Design (I think!). I couldn't find my flower punches so I used my spellbinder dies and embossed them. Pretty easy peasy right :). Thanks for stopping by today!! Have a crafty day! Hey y'all! 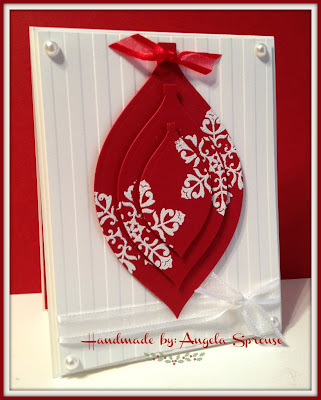 Back at ya today with a few quilled cards that I'll be teaching at AC Moore on Saturday, February 22. I would love to be able to share with you how I made these cards but that wouldn't be fair for those folks that paid for the class :). Hopefully I'll see you in one of my classes! If you have any questions at all, just ask!! I can tell you that the designer paper in the cards is by Crate Paper and is part of their "The Pier" collection. The cardstock is all by Bazzill and is the heavy weight card shoppe paper line. The pearl embellishments are by Nicole Crafts and come in a wide variety of sizes and colors (and they are way cheaper that the Prima pearls). The twin is by Queen and Company (I just love those little packages of twine - especially since they're only $1!!). Challenge yourself to give quilling a try. It's one of those hobbies that doesn't require a ton of "stuff" :). Happy crafting!! Welcome to my little crafty blog! I'm a wife to my best friend and a mom to a wonderful girl and boy. I work full time in the financial industry and love crafting in my spare time. Thanks for stopping by! 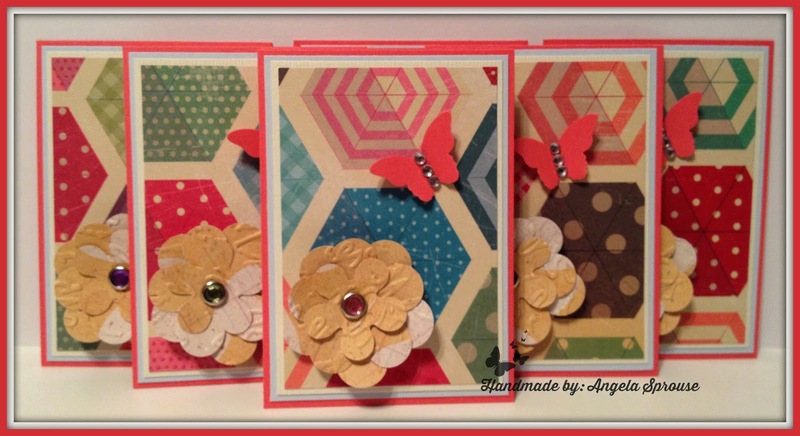 Visit the online crafty fun at Fancy Paper Crafters!